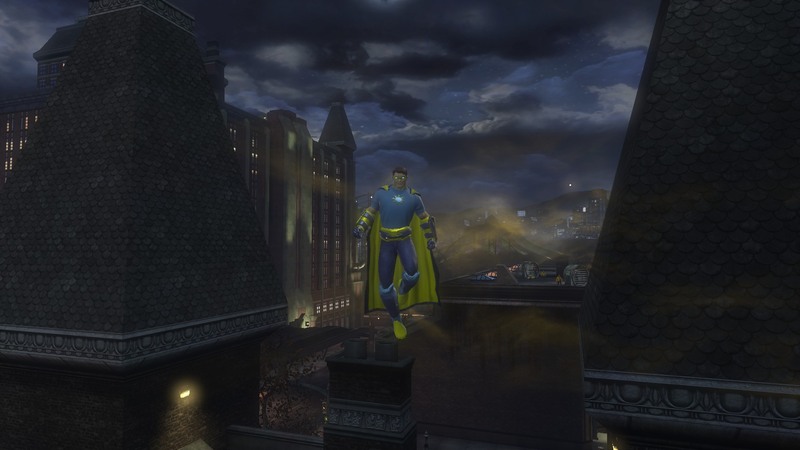 I recently began playing DC Universe Online. I first tried it at E3 before it was released; I really enjoyed it but didn’t play it again until this past week. It’s very action-oriented, and it does a good job of making you feel like a superhero right from the start. I chose to be a hero, and I picked Batman as my mentor. You get to choose from Batman, Superman, and Wonderwoman. I chose mental powers, which apparently means I get the control role, which is a support role. Every character gets the DPS role and a second role – either tank, healer, or controller. I haven’t reached the level to be able to do multiplayer instances yet, so I can’t really speak to how well they work. From what I understand, four main types of instances. Most of this I learned from the DC Universe Online Wiki. There are Iconic battles, or secret bases, which are usually solo instances that take place at the end of a series of missions, culminating with fighting a villain or hero in his or her base; Alerts, which are basically four-player dungeons (as well as Hard Alerts, which are end game Alerts); Duos, which are two-person instances; and Raids, which are eight-player instances. The backstory, summed up as much as I can, is that Brainiac killed most of the heroes and villains and stored their power data. When Earth was effectively lost, Lex Luthor went back in time with the hero data and released robots with the data, infecting much of the population and causing them to gain powers. This increases the number of heroes and villains so that we can fight against Brainiac. New characters start in a Brainiac Harvester Ship, the first Secret Base. I escaped found myself in Gotham. My first arc was to stop the spread of fear toxins in Gotham. 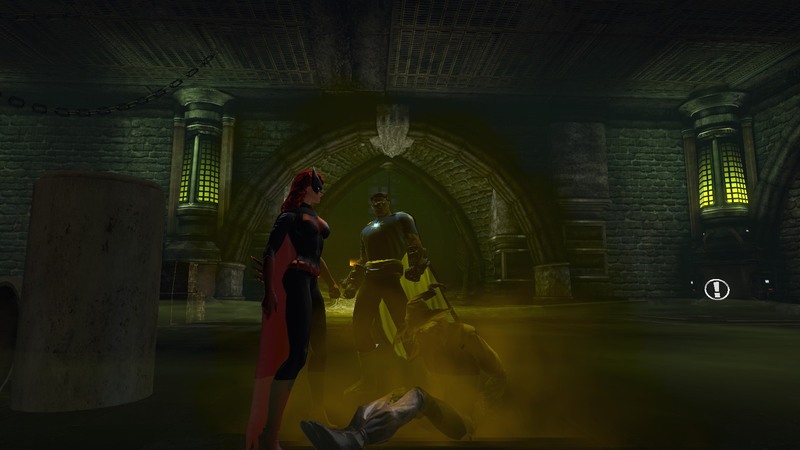 After fighting Scarecrow’s henchmen throughout the city, I learned that Batwoman was captured by Scarecrow in the Gotham City Sewers, the next Secret Base. I rescued Batwoman and successfully captured the Scarecrow! A part of me keeps thinking that I should keep leveling my WoW warlock so I can see the Cataclysm zones I never did, but I really just want to play more DCUO!